When did you join RMSDF? 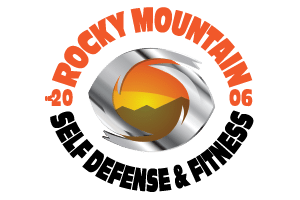 Why did you choose RMSDF? Because that is where my Dad trains! Parents: What changes in school work, and attitude have you seen since starting Krav Maga? Mila has become more confident in herself and enjoys physical activity more. What advice would you give to someone with regards to starting Krav Maga? Krav Maga is really fun and helps you defend yourself. Krav is easy to learn and helps you be safe. What is your favorite Krav Maga exercise or technique? Probably choke from behind with a push. What is your favorite activity outside of Krav Maga? Playing with my friends or practicing Krav at home. What is your proudest accomplishment at Krav Maga? Becoming Member of the Month! What is your favorite Krav Maga Game? Is there something that people would be surprised to know about you? That I have three brothers. RMSDF is a great environment to challenge yourself and others. The instructors are experts, the community is supportive, and anyone at any age or skill level can get a lot out of it. I can’t think of something more worthwhile than building life saving skills and growing stronger and more confident through the process.